Now that we’ve talked about how to fix Titanfall crashes and even checked out some basic Titanfall tips, it’s time to get to something that really matters: how to level up fast in Titanfall and get XP points like a pro. You probably know that a higher rank in the game offers a lot more options and makes the entire game a lot more fun, so we should do our best to gain more XP points and level up faster than the rest in Titanfall. Hopefully our guide will help you get through this process safe and sound (and fast), so let’s check it out below! It’s all about moving to the next generation in Titanfall and in order to do so, you will have to complete all the challenges of that generation first. A new generation will reset your rank, but will increase your XP gains by up to 350%. So simply playing the game and completing the challenges – exploring all the weapons and gear – will automatically help you level up faster. How fast this happens depends on your skill level and your desire to follow the next tips and tricks. The easiest way to get XP points in the beta still remains at the moment of writing an amazing option for leveling up faster so make sure you play this mode as much as possible. I am not sure if this will be fixed eventually (probably not), but it is working now: shoot all the enemy titans that you see and move on. You don’t have to attack and destroy that titan in order to get some assist XP points when that titan dies and they all do eventually… so shoot the titans but focus on AI-controlled opponents which are easier to kill. You will get a lot of XP points for killing enemy pilots and if you manage to be the first one to do it, you get even more XP. Since most of the pilots will go for AI-controlled units first, here’s a trick you can try: use the cloaking device and a silenced weapon, go where the AI units are spawned and wait for the pilots to arrive. Go for a surprise attack and you get some easy XP points! 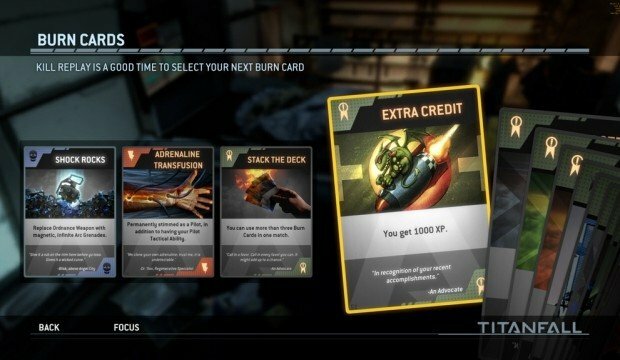 Burn Cards are not just extremely useful boosts in Titanfall, but they can also help you net some extra XP points and level up faster. Killing enemy pilots with Burn Cards activated gives you extra experience points, but the general advantages given by these cards will improve your overall game and in return help you get more XP fast. In the end, the easiest way to get a ton of easy XP points is to focus on destroying the grunts controlled by the AI. Easy to kill and in large numbers, especially weak to Titans (but be aware of other pilots trying to take your titan down), the AI controlled units should be farmed intensely for maximum XP gains. 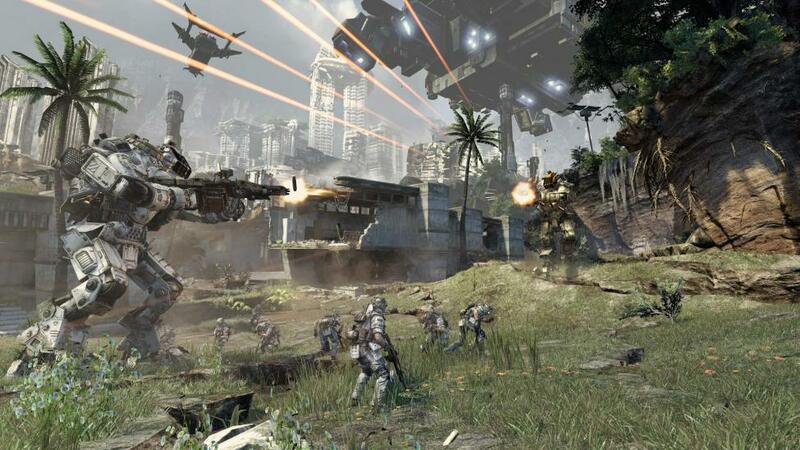 What other strategies do you adopt when it comes to ranking up fast in Titanfall?